Quick overview "The intersectional feminist anthology we all need to read" (Bustle), edited by a remarkable and inspiring twenty-year-old activist who the BBC named one of 100 "inspirational and influential women" of 2016. 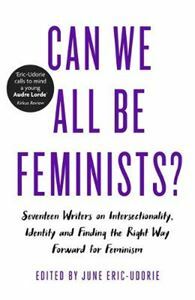 "The intersectional feminist anthology we all need to read" (Bustle), edited by a remarkable and inspiring twenty-year-old activist who the BBC named one of 100 "inspirational and influential women" of 2016. Why is it difficult for so many women to fully identify with the word "feminist"? How do our personal histories and identities affect our relationship to feminism? Why is intersectionality so important? Can a feminist movement that doesn't take other identities like race, religion, or socioeconomic class into account even be considered feminism? How can we make feminism more inclusive? Including essays by: Soofiya Andry, Gabrielle Bellot, Caitlin Cruz, Nicole Dennis-Benn, Brit Bennett, Evette Dionne, Aisha Gani, Afua Hirsch, Juliet Jacques, Wei Ming Kam, Mariya Karimjee, Eishar Kaur, Emer O'Toole, Frances Ryan, Zoe Samudzi, Charlotte Shane, and Selina Thompson.